Joanne sent in this great tooth fairy pillow! Peg designed this terrific tooth fairy pillow. Jamie sent in this cute tooth fairy pillow she made for her daughter. Beth sent in these pictures of a sweet tooth fairy pillow she made for her grandaughter using designs from the Tooth Fairy set. Cherrie made this sweet tooth fairy tissue box using designs from the Tooth Fairy set. 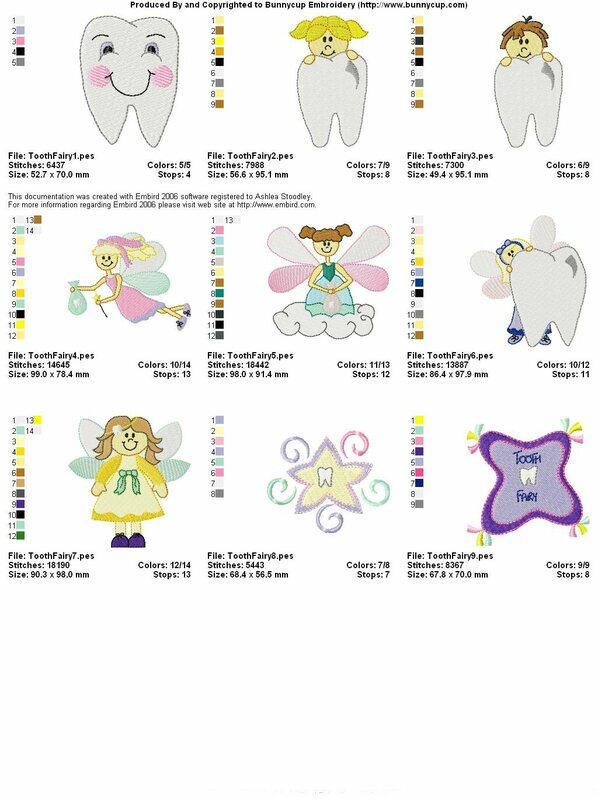 Carol sent in this picture of some fun dental smocks she made her husband using Tooth Fairy designs. Susie sent in this picture of cute pillows she made with Tooth Fairy designs. Effie sent in adorable pillow she made for her grand daughter she made using Tooth Fairy designs. Norma sent in this picture of a sweet tooth fairy pillow she made using a design from Tooth Fairy.